So we are discussing unity and diversity. 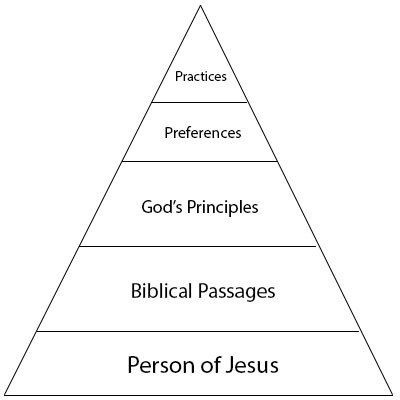 Last week we discussed the unity of the person of Jesus, Word of God, and God’s principles. So this week we will look at the diversity in our preferences and practices. We should come together bring our preferences to join together. But we must keep in mind the other person. It is too easy to prefer ourselves. If we come together with ourselves in mind only, we end up devouring each other and division is introduced. If you want to know what is right behavior, you have to fuel yourself with the right information. Spending time in God’s word is so important. Our encouragement comes from God’s love toward us. Our tenderness and compassion comes from what God is doing in us and through us. We are to have a view of one another that is shaped by God’s view of us. When we allow God to work in us and through us, we can begin to move forward together. When the text says “of one mind” it means that we all have the same goal and we are going to move forward together. Many times we put value in others where they fill some diminished capacity in ourselves. Instead, we are to value everyone and their interests. It doesn’t say not to have interests ourselves, but instead we are to value others enough that their interests supersede our own. This isn’t always easy. We find ourselves saying, “I don’t really care what you are interested in.” But we are to keep in the forefront God’s purposes for ourselves and for the church.